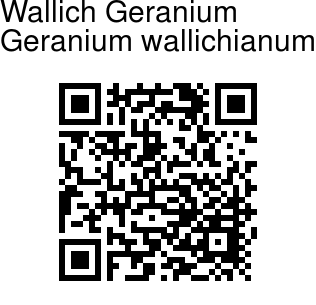 Wallich Geranium is a perennial herb with paired rose-pink to red-purple flowers with pale centers. Flowers are large, 2.5-4 cm across. Sepals are bristly haired on veins. Plants usually have large ovate stipules which is an identifying feature. Leaves are mostly 4-8 cm across, 3-5 deeply lobed, the lobes are broad-rhombic, further lobed and toothed, but not deeply. 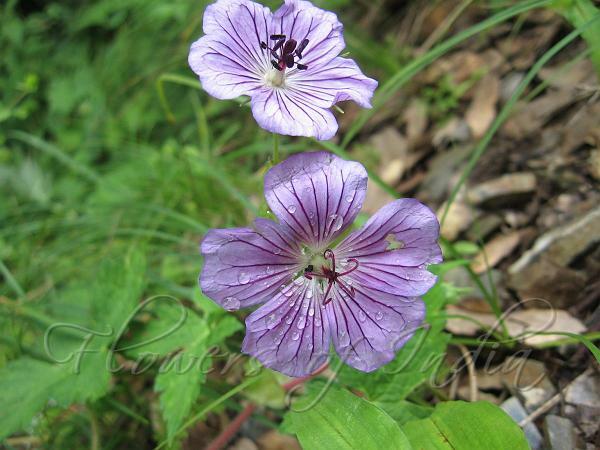 The plant has a much branched stem, growing up to 1-4 ft tall. Flowering: June-September.